Even if you enjoy cooking, you'll know that having good kitchen tools is essential and will make life easier. That way you can easily prepare homemade, healthy, and delicious meals for you and your family. 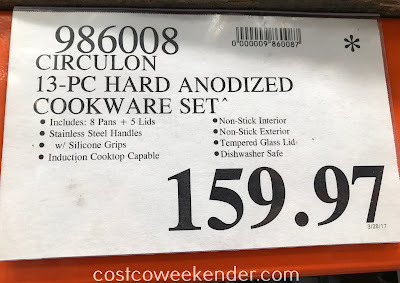 That is why you should check out the Circulon 13-piece Hard-Anodized Cookware Set. 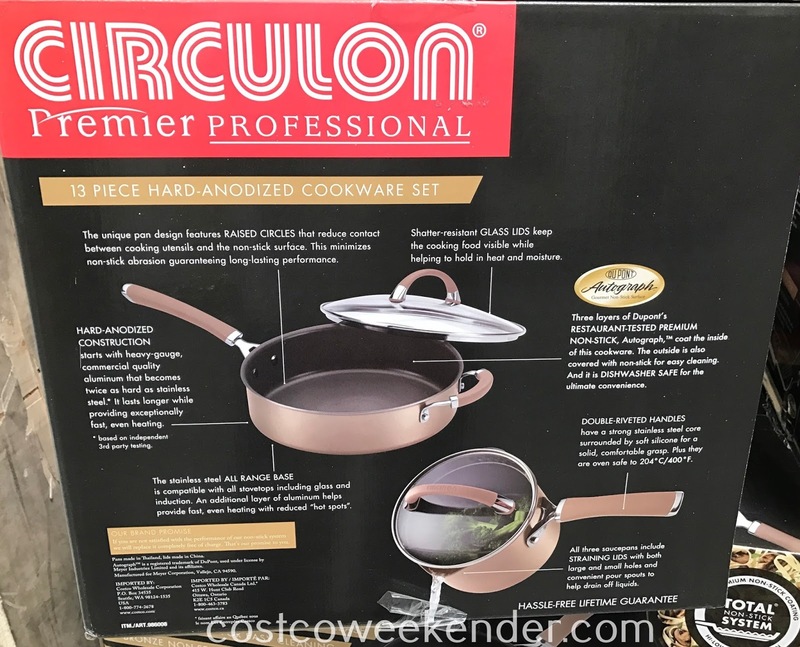 It comes with several pots and pans that you can use to saute vegetables, pan fry meat, make tasty sauces, or simmer some stews. 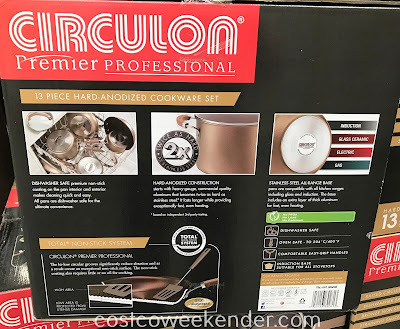 What's great about the Circulon 13-piece Hard-Anodized Cookware Set is that it is dishwasher safe. That in itself is a big plus since washing dishes can be a tedious and time consuming task in itself. A lot of times, it could be just as difficult as cooking. 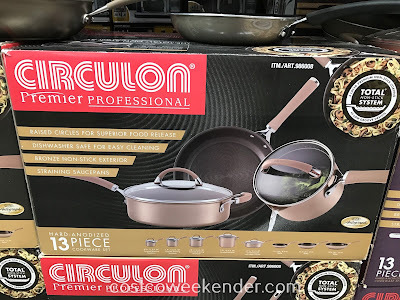 Whether you're a professional chef or just a home cook, you'll be sure to love the Circulon 13 piece Hard-Anodized Cookware Set. The unique pan design features RAISED CIRCLES that reduct contact between cooking utensils and the non-stick surface. This minimizes non-stick abrasion guaranteeing long-lasting performance. 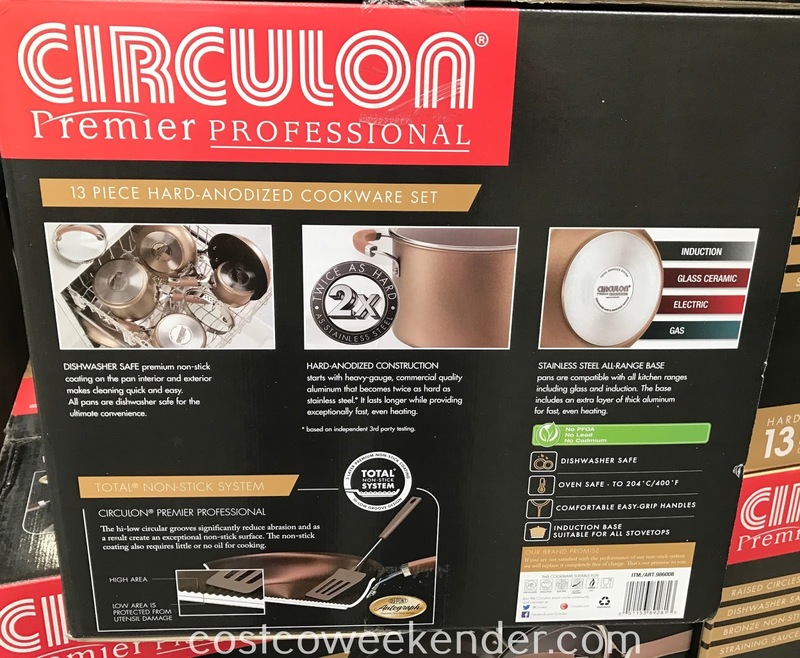 DISHWASHER SAFE premium non-stick coating on the pan interior and exterior makes cleaning quick and easy. All pans are dishwasher safe for the ultimate convenience. 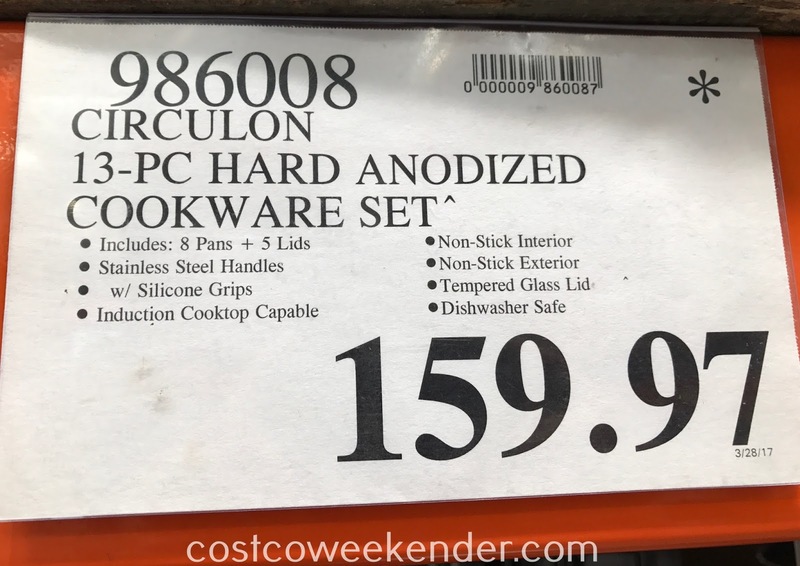 HARD-ANODIZED CONSTRUCTION starts with heavy-gauge, commercial quality aluminum that becomes twice as hard as stainless steel. It lasts longer while providing exceptionally fast, even heating. STAINLESS STEEL ALL-RANGE BASE pans are compatible with all kitchen ranges including glass and induction. The base includes an extra layer of thick aluminum for fast, even heating. Shatter-resistant GLASS LIDS keep the cooking food visible while helping to hold in heat and moisture. Three layers of Dupont's RESTAURANT-TESTED PREMIUM NON-STICK, Autograph, coat the inside of this cookware. The outside is also covered with non-stick for easy cleaning. And it is DISHWASHER SAFE for the ultimate convenience. All three saucepans include STRAINING LIDS with both large and small holes and convenient pour spouts to help drain off liquids.